Non-locking carabiners are not approved for use in a tree climbing system, but have many uses in tree work, from organizing tree climbing gear on the harness to creating speedline slings. You'll find our most popular carabiners for hanging a chainsaw on the belt, as well as super-compact accessory carabiners, the popular Petzl Caritool, and the DMM Revolver which can act as a pulley for quick-redirects and mechanical advantage. Locking tool holders like the DMM Vault and the Rock Exotica TransPORTER have become popular lately, as they offer an extra level of security. If you need a double-locking carabiners or screw-locking carabiners, follow these links. Petzl Caritool - Small (2019) New in 2019! Updated with a protective cover to the gate to prevent snagging in the canopy. Lightweight tool holder. Clips on the inside of the Caritool help stabilize its position on the harness. Small hole at the top for attaching a keeper cord for critical gear. Durable and lightweight. Attaches to the slots in the Sequoia waist belt or directly onto the webbing of other harnesses. Not load rated. Petzl Caritool - Large (2019) New in 2019! Lightweight tool holder. Clips on the inside of the Caritool help stabilize its position on the harness. Large hole at the top for attaching a keeper cord for critical gear. Durable and lightweight. Attaches to the slots in the Sequoia waist belt or directly onto the webbing of other harnesses. Not load rated. The Vault is a secure and durable tool holder that can be used on everything from harnesses and kit bags to vehicles. The two part aluminium alloy Vault is secured using a stainless steel bolt and is the ideal solution for gear storage, organisation and transportation. The locking gate option provides even greater security for your kit by preventing accidental opening, and can be set in locked or unlocked positions. Lightweight, aluminum tool holder makes it easy to rack your saw or other gear with no gate to open. Made in the USA. 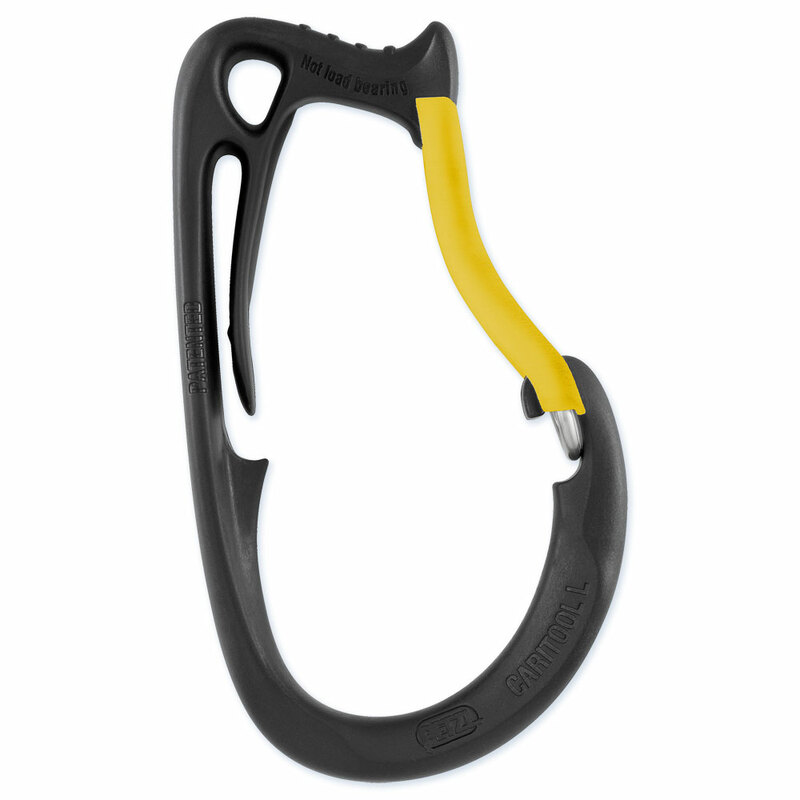 Popular, extremely lightweight bent-gate carabiner from Petzl. Non-locking carabiner incorporates a high-efficiency pulley - ideal for redirects or haul systems. The SMC Oval was one of the first aluminum carabiners manufactured in the US during the 1960s. This classic traditional carabiner is highly versatile and functionally designed to withstand the test of time. A major benefit of using a true oval carabiner is that it is very difficult to load incorrectly. Made in the U.S.A. The Light D is one of SMC's smallest and lightest aluminum carabiners weighing in at a mere 1.7 oz while being nearly identical in strength to the SMC Oval. As an essential part of the SMC carabiner line, the Light D is built using the same internal stainless steel components as all SMC carabiners assuring that quality, form fit and function are never compromised. Made in the U.S.A. The PerfectO range uses a new extra short gate to make the profile as compact as possible, minimising eye-to-eye length whilst maintaining usability and easy one-handed use. The true oval shape provides effective centring of loads and the fully rounded rope bearing areas increase carabiner and rope longevity. Its keylock nose allows snag-free operation. The straight gate version is ideally suited for racking gear and the colour options help to quickly differentiate between equipment. This tiny (and we mean tiny!) accessory carabiner from DMM is surprisingly strong thanks to its hot-forged I-Beam body. The key lock nose and regular gate mean less snagging vs a wire-gate carabiner. This tiny oval has tons of uses as an accessory biner. All of the strength and great design you've come to expect from DMM in a tiny package. Sold individually. These are lightweight, compact micro carabiners from US Rigging. Perfect for attaching SRS tethers and other accessory uses. This mighty little carabiner from DMM has certainly earned its name of 'Thor' with an impressive 28 kN breaking strength, an 11 kN strength with the gate open. Smooth action, strong, I-beam body, and big one-inch gate opening make this carabiner a popular choice. 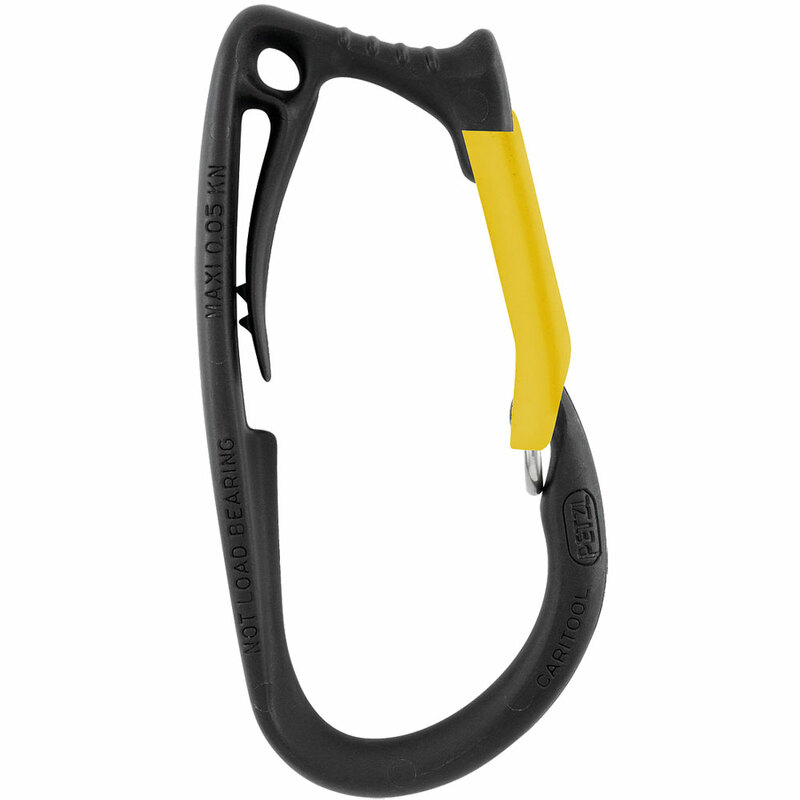 Very popular non-locking carabiner for use in speed lines. Large, paddle carabiner with bent gate is a popular choice for hanging a saw on the saddle. This handy little multi-tool is a great item for camping, hiking, hunting, and other outdoor activvities. Lightweight and handy. Weighs only 1 oz. Hang slot for keys, gear, etc.